Last week, Fr. 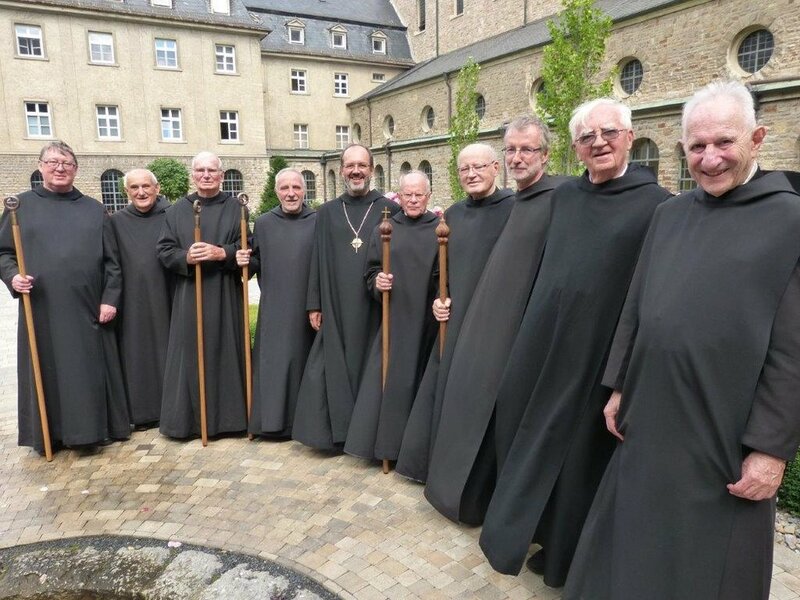 Thomas returned from Germany where he celebrated his 25th anniversary of ordination to the priesthood at Muensterschwarzach Abbey, the motherhouse of the Schuyler monks. A total of nine monks observed jubilees: 65, 60, 50 and 25 years of monastic vows, priestly ordination, or missionary work. Fr. Thomas wrote about his ministry as a priest: “’You have chosen the most beautiful profession,’ my grandmother wrote into my ordination scrapbook; she was right. I find much of the priesthood’s beauty, often surprisingly, while facilitating retreats and while treading the sacred ground of people’s lives in spiritual direction, listening, and noting God’s presence, God’s gifts, and God’s guidance, even sometimes in the midst of difficult and painful experiences.” - The other pictures show Fr. Thomas presiding at Sunday Mass at Christ the King Priory.